Oliver Manufacturing hosted its second CHPC (Colorado Hemp Processing Cooperative) meeting on Thursday, 19. 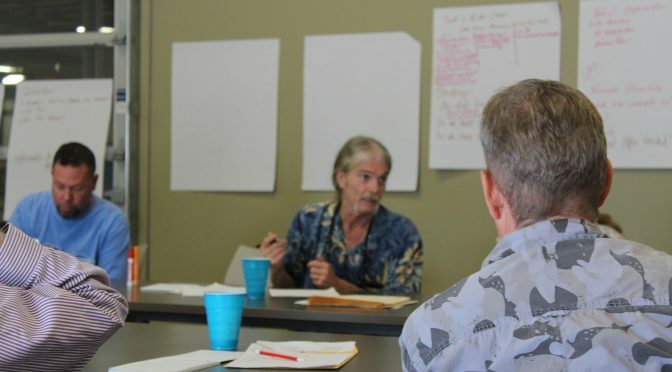 The cooperative discussed strategic outreach to spread awareness of its efforts to form a grassroots support network for hemp and hemp seed growers and producers that spans the state of Colorado. Oliver provided the meeting space and is in talks to work with the cooperative to provide hemp seed cleaning and separation solutions. CHPC Founder Duane Stjernholm describes the hemp cooperative as such: the CHPC is a Limited Cooperative Association (LCA). It will provide seed to sale harvesting and processing services to Industrial Hemp Industry in Colorado. Under an LCA, every shareholder gets one vote regardless of how many shares they own. The Cooperative distributes profits to the Shareholders on a yearly basis. CHPC’s focus is on the seeds and stalks of the Hemp plant. Seeds and stalks are processed for food, oil, building materials, paper, and many other products. The CHPC will contract with local Hemp Growers for their crops and help develop markets for raw materials produced from processing the seeds and stems.